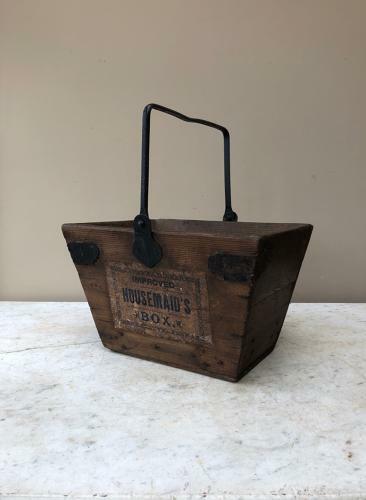 Early 20th Century Pine Housemaid's Box with its rare to find Original Label. The pine box is good, solid and sturdy, it has its original iron handle. Some of the iron corners are missing but doesnt detract for its near 100 years of age.